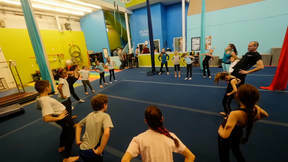 Plan your next group activity at Atlantic Cirque! Each group booking includes most of the following: mini-trampoline, trapeze, human pyramids, headstand, juggling, spinning plates, stilts and much more! 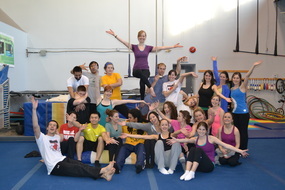 Our instructors will welcome your group and teach you all kinds of circus tricks in a safe and fun environment. Each participant needs to fill out a waiver form. 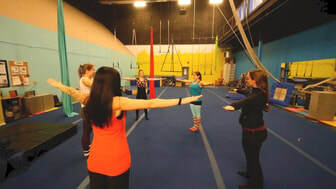 This group package includes 2 hours of circus activities in our gym filled with circus apparatus, under the instructions and supervision of a minimum of two instructors. 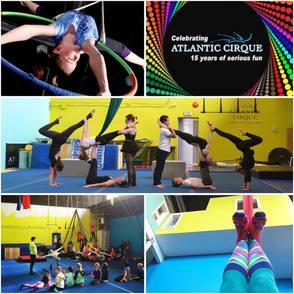 All group bookings at Atlantic Cirque are private as we only book one group at the time! Are you wondering what to do with your family, friends or co-workers for a Holiday Party? Search no more!! Atlantic CIrque can accommodate up to 40 participants. - juggling & much more. 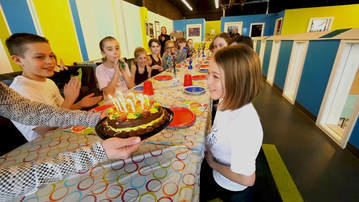 We can accommodate groups of 6 to 40 people from ages 5 to adults of all ages with various physical abilities!